Thanks to Doctors Without Borders for their support, CYC has distributed winter pajamas to the students/ children at El Bared Centre to protect them from the cold weather. Thanks to dear Laura Mackemzie for this writing article about Shatila circumstances, although sometimes some people are providing wrong numbers or information especially when the language play negative role, but still its good the truth to be known by others every where. With appreciation to the cooperation with Medecins Sans Frontiers MSF and to their generous support. CYC has provided 250 schoolbags with stationary to the poor students who are receiving education support at CYC. In the presence of MSF representative Mr. Mostafa Dabdoub there was a meeting with the students and their parents, where Mr. Abu Moujahed the director of CYC and Mr. Mostafa Dabdoub have talked to the parents about the importance of the education in spite of all the difficulties and suffering, especially for those who were forced to flee from the war in Syria. CYC called for the child protection and the parent role in cooperation with the school and the NGOs for better bringing up within a friendly social environment. 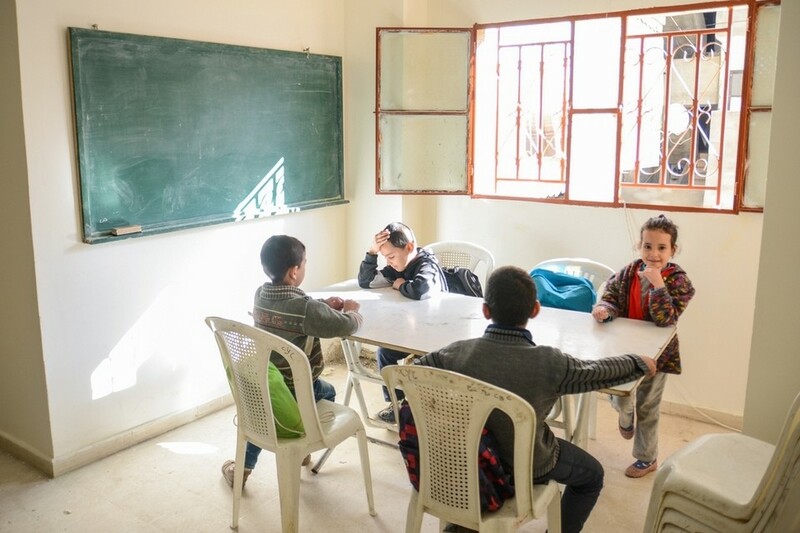 Mr. Dabdoub has explain what MSF, and what it is providing to the refugees of medical and health care services,especially the maternity and birth delivery clinic, psycho social and other social services provided through MSF two centers in Shatila camp. After the discussion with the presence, the teachers and social workers have distributed the schoolbags to the students. Thanks to MSF. 250 . . ɡ . ѡ ȡ . With appreciation to the contribution of our friends children, Youth and Monitors of Mixgarden Club in Hammarkullen – Sweden CYC has distributed winter pajamas to 85 children of the Kindergarten in Nahr El bared. Also CYC will distribute school bags to the students there. The girls football team started training again. The CYC Girls Football team has started Training again after they stopped since months ago…. So we are trying to obtain the necessary possibilities, to support those special group of girls 8-13 years old to success and continue with their favorite hobby. But also we have to thank Italian Peace Association and Mr. Renzo Ulevieri for their support to the girls football team.